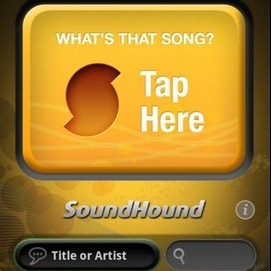 The developers of SoundHound, a music recognition app, have decided to update the free version of their app to allow an unlimited number of music IDs, instead of the previous limit of 5 each month. Meanwhile, SoundHound's biggest competitor, Shazam, has a very similar offering: a free app that has the same limit of 5 music IDs per month. If Shazam does nothing, which is hard to imagine, and you don't plan on spending any money, there's no contest regarding which app you are going to end up using. Whether SoundHound might be digging itself into a hole with this move or not is unclear, but unlimited song recognition is one less reason for customers to drop $4.99 for SoundHound Infinity. At least they've got the ad money - isn't that right, Rovio Mobile?